This aerial photo of the park shows most of the buildings including the theater and the carousel building. The buildings along the road to the left were park buildings at one time, but were later converted to apartments and housing. 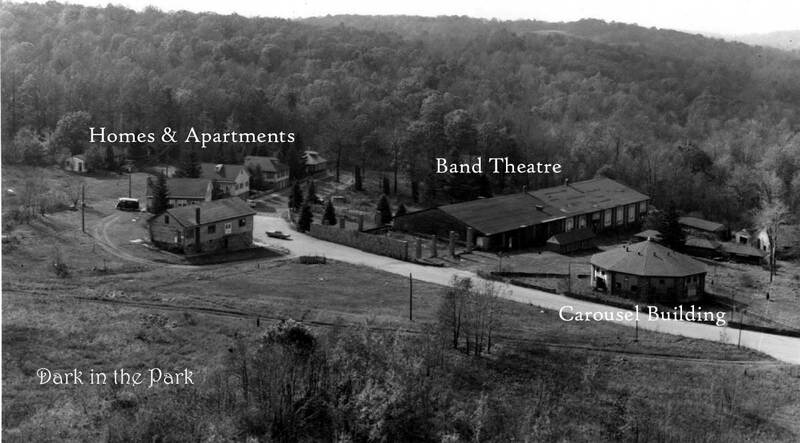 This photo was taken several years after the park closed during the time of the Dreamland Park murders. The source of the photo is unknown.